So Easter has gone and I am probably late to the party on this one, but I recently sorted through my wardrobe and I couldn't be more happy about it. I was getting to the point where I 'never had anything to wear' and was wearing the same things over and over again. I was in a bit of a style rut! But after having a good old purge through my wardrobe I'm out of that now and I wanted to share my tips of what you can do to utilise your wardrobe. You know that pile we put to one side earlier? Now it's time to invite your friends round, get some nibbles (doritoes and dip are always a winer) and have a night of trying on clothes to see if there is still a place for them in your wardrobe. No one is going to give you a more honest opinion than your friends and if you can make sorting your wardrobe out into a girly night then why not! Now you know exactly whats staying and whats going, you can get to work making sure you can find everything. I like to hang as many of my clothes up as I can because I'm very much a out of sight out of mind kind of person. I tend to organise my clothes by the type and then by the colour, but you could even organise them purely on colour. If you store your clothes in drawers you can still organise them in this way but I would suggest you roll your clothes instead of folding. This means you'll still be able to see them and you'll utilise the space you have available. 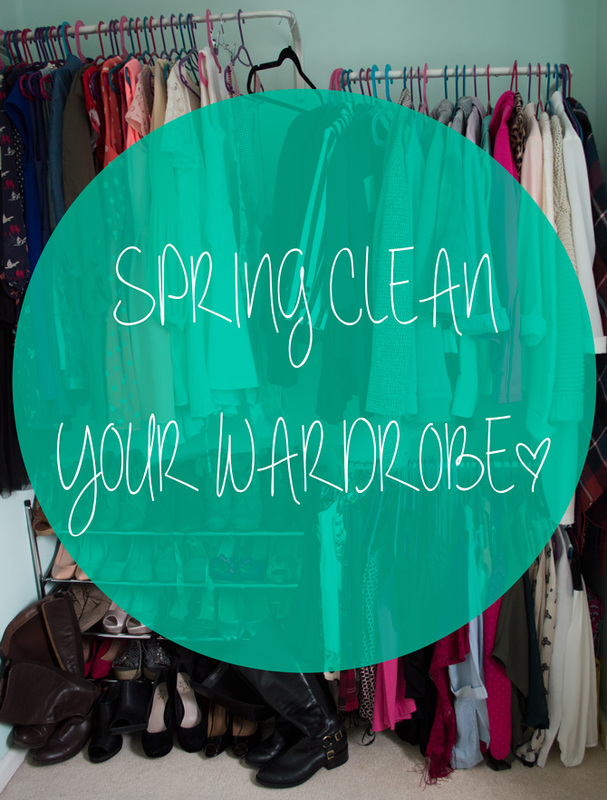 Remember that pile of clothes you didn't want? Why not make some money out of it. It's so easy to sign up for an ebay or depop account and if your clothes are still in a wearable condition (or still have the tags in, yeah we all do it) why not make some extra cash. Clothes from places like Topshop, River Island, Urban Outfitters or any other brand are always in high demand so are likely to fetch you some dough! So you've done all the hard work, now it's time to have fun! Have a look through your wardrobe and identify the areas in your wardrobe that you have weaknesses. Is your wardrobe full of black and grey? Buy some colour! Are you lacking everyday jeans? Get some! Use some of that money you got from selling your clothes to replace them with some good quality staples that your going to wear all year round.